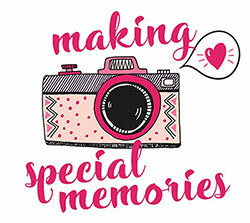 This Making Special Memories website has been designed to share creative ideas to inspire you in capturing those special moments in your life that you will treasure forever. The best things about memories is making them! The brain works in mysterious ways and has three types of memory, long-term, short-term and working memory. Focusing on the short-term and long-term memory, we all know it is easy to share a great meal with friends or have a fun day at the beach and these memories will be etched in your memory for a long time to come, but as new memories come into your life it is only natural that some of the most special memories get pushed to the back of your mind, oftentimes completely forgotten. That’s why having a physical copy of some sort is well worth having and creating a scrapbook is a memory in the making in itself! This website is all about making sure you treasure those special memories and capture them, not just in digital format but in other ways too, such as journalling and scrapbooking, where you can enjoy and re-live the memories and lovingly capture them for posterity. We will share tips through video, photos and posts giving you ideas and inspiration to create a memory book, album or box, which is the perfect gift to a loved one in your life – the perfect way to express your gratitude and appreciation for those special moments. Memories are Special! 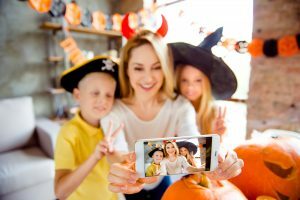 Capture those golden memories with a selfie! 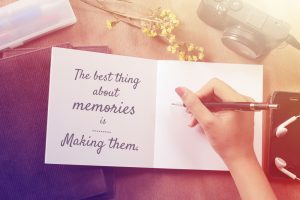 Memory scrapbooks are a great journal for capturing history and are a great aid where memory is lost, such as in cases of dementia and stoke and can be a very therapeutic tool in the rehabilitation or a loved one. It is also a work of love for friends and family to capture each passing year and look back on in generations to come and laugh at time has moved on. Whatever your reason for capturing the special memories you are making, we want to be part of your journey and help to give you inspiration along the way. Enjoy and keep making and capturing those memories for yourself and future generations to come. 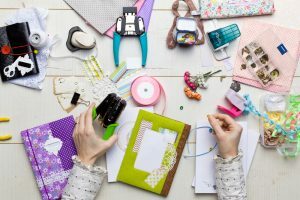 Time to get all your stationery and arts & crafts material out! Unleash your creative inner child and have the best fun ever! Now for the fun bit! Decorating pages with metallic pens, stickers, pressed flowers, tickets is the perfect way to express your creativity! Bring out your inner child and go wild decorating your scrapbook. It’s such a fun thing to do and there are no right and wrong ways to do it! Just jump right in and use your favourite memorabilia and raid your arts and crafts supplies to decorate your pages. Favourite flowers and petals can be pressed and scattered on the pages, don’t forget the glitter for those extra special touches – the main thing it to make a memory, whilst you are making your memory scrapbook, a win-win! Cutting and Sticking is all part of the fun! Digital Photography has made it so easy to capture spontaneous magical memories, like never before! There has never been a time when it has been easier to capture the making of special memories! The advent of smart phone camera and digital cameras, with amazing filters to give your photo that professional look is accessible to the large majority of the population. 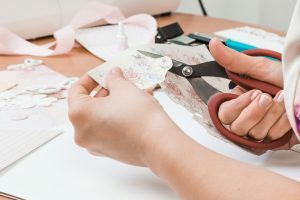 However, keeping the photos in digital format means that they often get lost or forgotten, which is why capturing those memories through scrapbooking is a great way to get the best of your memories captured, so that when you have friends round or on the dark nights of winter, you can look back and remember those happy special memories and moments that you enjoyed. 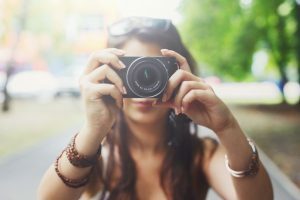 Get your camera out and enjoy capturing those memories forever! Metallic Pens – amazing for adding that touch of style! Pretty in Pink Camera! Perfect for capturing memories in the making and handy pocket sized! Press tool for making your memory pages look extra special!